Riemke Ensing was born in Groningen, The Netherlands, in 1939. With her parents she immigrated to New Zealand at the age of twelve in 1951. At this stage of her life she spoke no English. She went to school first in Dargaville, then to Ardmore Teachers' Training College, after which she taught for two years, returning to the College to lecture in English literature for a year. She again became a fulltime student and on graduating M.A. (Hons) in 1967, was appointed to a position in Literature in the English Department at the University of Auckland,where she taught till 1999 when she took early retirement. She has since been appointed an Honorary Research Fellow (Faculty of Arts) and in 2002 was a Buddle Findlay Sargeson Fellow . 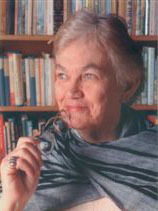 In 1977 Riemke Ensing edited the pioneering anthology of New Zealand Women Poets – Private Gardens . Since then her work has been published extensively in numerous publications and appears in many anthologies (both in New Zealand and overseas). Her poetry has been broadcast on radio and television. Some of her poems have been translated into other languages, including Dutch, German, Japanese and Chinese. The K.M. File and Other Poems with Katherine Mansfield, Hazard Press, Christchurch, Melbourne, 1993. Finding the Ancestors – poems to celebrate the occasion of the first Dutch Language and Culture Conference of its kind in New Zealand, Pear Tree Press, Auckland, May 1999. Tarawera Te Maunga Tapu , The Pear Tree Press, Auckland, 1999. Private Gardens – an anthology of New Zealand Women Poets, Caveman Press, Dunedin, 1977. Poetry NZ 5, Brick Row Publishers, Auckland, 1992. Gloria in Excelsis – a selection of poems by Gloria Rawlinson – in celebration, The Pear Tree Press, Auckland, 1995.